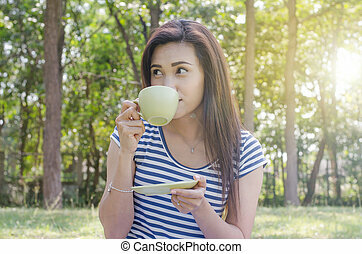 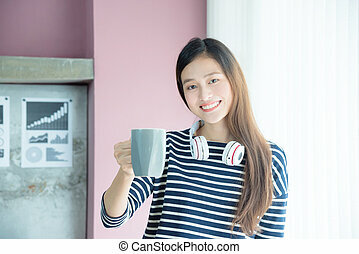 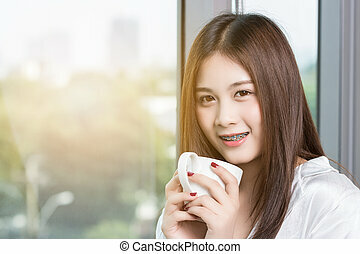 Beautiful Asian woman drinking coffee in the morning happily. 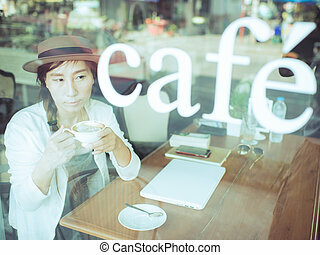 Asian woman drinking coffee and using computer in cafe, take photo from mirro. 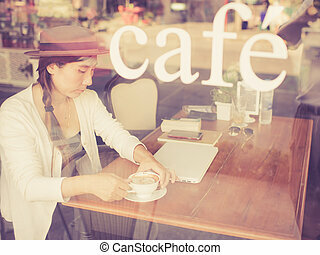 Photo filter effect. 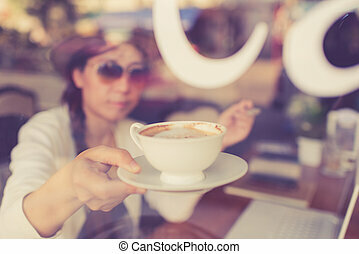 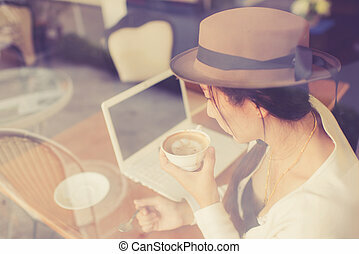 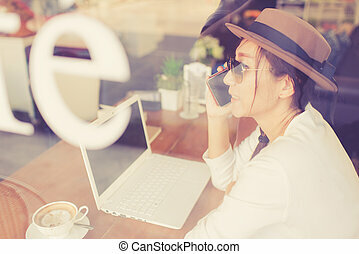 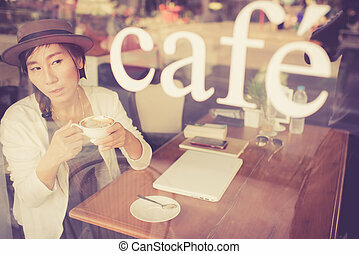 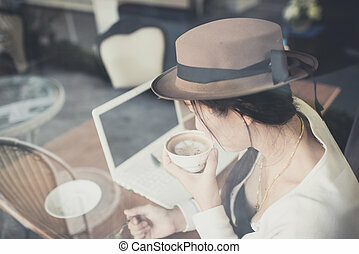 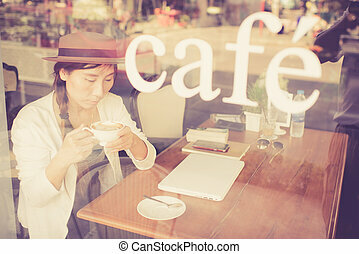 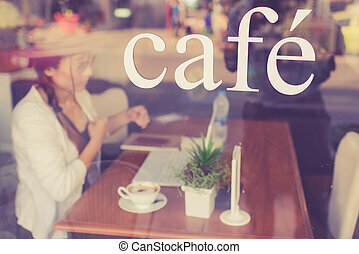 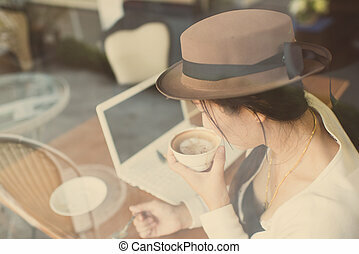 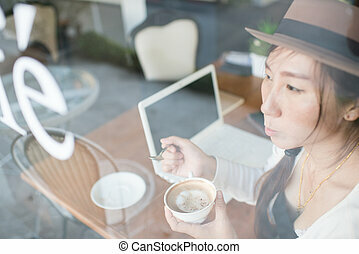 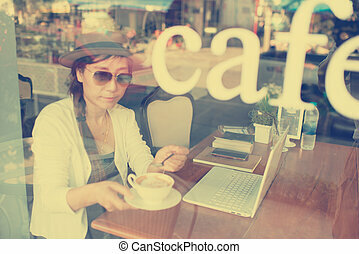 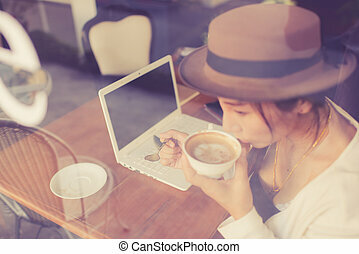 Asian woman drinking coffee and using computer in cafe. 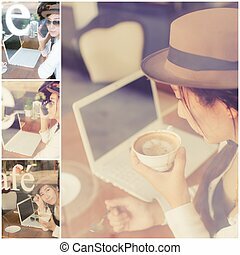 Photo filter effect.